We offer Indoor Cricket Practice Net to our clients. 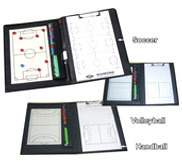 High density and the non-infill system guarantee the safeand comfortable sports environment. The special curly yarn has no influence on the small balls’ running direction. The ball rolling, ball rebound and rotation perform perfectly on this turf. The fields also have aesthetic appeal & long durability. We are manufacturer of Sports Bottle. A convenient way to store and carry your favorite hot or cold beverage. Being a quality oriented organization we are involved in rendering Squeegee Blade Replacement. This Squeegee Blade Replacement is provided by using cutting edge technology and advance tools. To attain the maximum satisfaction of customers, we provide this service at most feasible price.